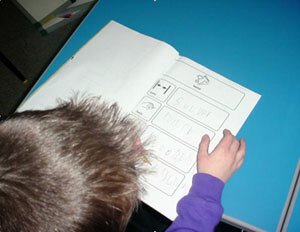 John was able to describe different materials using symbols as prompts. 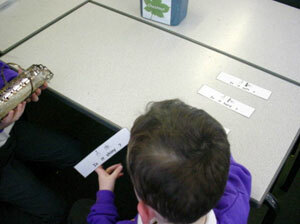 Paul was able to ask questions about a specific object with symbol support. 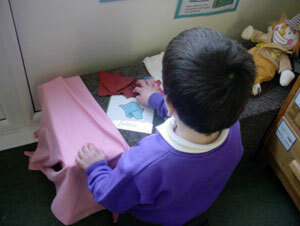 David was able to sort objects into the correct materials independently with symbol support. 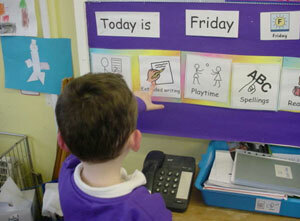 The visual timetable gives structure to Paul's day and aids his independence. 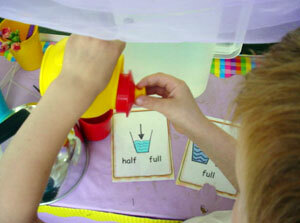 Sam now understands the concepts 'full', 'half full' and 'empty'. 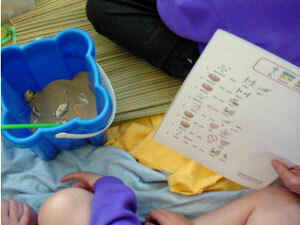 The children used the symbolized holiday questionnaires when working in the sea side role-play area.